He was reincarnated as a 10 year old apprentice to a famous Royal Court Apothecary, and he had attained an inhuman ability to see through disease, creating substances, and removing substance. In a society in which dubious medical practices are rampant, price gouging thru the monopoly of the apothecaries guild, and good medicine aren’t available to the commoners. He was recognized by the Emperess at that time and opened a Pharmacy at the corner of the town. He will wipe out the fraud that has swept the world, and deliver to the commoners a truly effective medicine that was developed using present day pharmacology. Thus the boy pharmacist will cheat by using his previous knowledge to create innovative medicines while helping the people of the parallel world, a story about living his new life to the fullest this time. Are you willing to collaborate on this? Anything would be batter than this dysfunctional website. I’d wade through a swamp of spelling mistakes and poor grammar if to just not have to be here any longer. sure, that would even be better! Is there romance, is there harem? Or you know, he might just be a genuine good guy? The guy can make gold from nothing. he doesn’t need any help on the cash front. Thanks, can i contact you to confirm some of the pharmacological terms? Ps: Im still studying and my knowledge isnt comprehensive, so I am not an expert (I’m only 21 after all :p) but I should still be able to help regardless. ^^ cheers! Yay! This is pretty promising and not to mention unique! Thank you so much for translating! 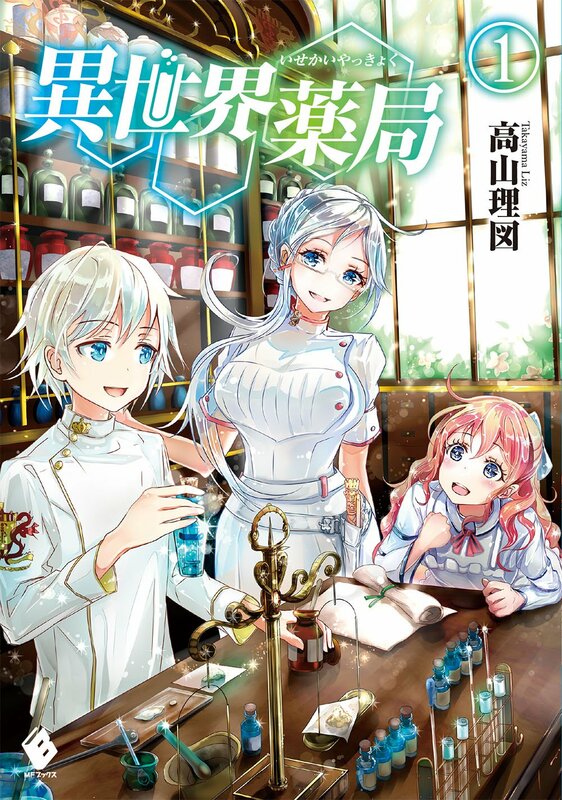 Looking at some of the titles, it appears like that world has magic, is that true or is this series completely without magic, only concentrating on medicine? This is the awesome like wild life. The volum 2 is about black diase & volum 3 is about his brother had a leukimia sick…. Please foxus on this project this is too damn good. When will chapter 12 be out? Ch 13 was already up on joeglens’s website.. I think the link on this web will be updated soon.. This web novel is great! A nice change of pace from the usual OP protagonist annihilates enemies and accumulates harem. Hee why falma skin is not tan!? I really enjoy this novel. Please continue translating, I really really want to know what happens next.??? So seems like it got dropped? A story where the character being reincarnated actually has a purpose, instead of just being used as an attention grabber. Its great, exciting, and is actually educational, since it teaches you about diseases and medicine, which is a huge plus (I hope it continues this trend). *I can’t believe I have to put it here, but its a Japanese webnovel, and this problem is seriously a demerit in many series. **Other world knowledge refers to how useful a character’s previous world was, whether it was world traveler or reincarnation. It also judges the usefulness of this type of premise (besides the “being able to talk” and “act older” things, since that is inherent to the premise). Rankings are: Low, Mid, High, Max. With Max meaning that the entire premise is based on the MC’s old life. It have a scene of fighting in vol 2…. Does any 1 knows when ch 10 will uplod? is this even been translated still? So, before I begin I must say that I only read the chapters. I just press next to get there. I read no comments or anything else like that. I was seriously wondering if this is being translated. Is the translator okay? I did however manage to find that it has been months since an update, and the translation began a year ago. So, I am guessing that it was dropped only around a month or so after translations began, I guess. I apologise if I am wrong, but that is all in inferred from the information I happened to see. I didn’t investigate much though, I admit. I was wondering if someone would translate on the previous translators behalf if he dropped it or can no longer translate it, for whatever reason. Thank you, and I’m sorry translator if you just can’t get to it if these aren’t the case. I could try to help as editor if needed. Dear translator. This work are truly amazing! I never read such majestic work like this. I am a Light Novel lover especially Chinese novel. but most of them were about martial art with magic. i got bored when read the novel as mostly they got similarity although the title were different. However, this novel different from the other as the MC employ scientific knowledge to form a miracles in an ancient time. I just love when a novel blend modern and traditional technologies/knowledge. I hope that you have high spirit to translate this. This novel should be your number one priority in translating. can’t wait for the next chapter. when does a new chapter usually uploaded?